At the beginning of the twentieth century Brisbane trailed behind Sydney and Melbourne in the provision of parks and monuments, a defect which troubled progressive citizens. At the same time the city was becoming more congested: its population doubled between 1891 and 1921 to nearly 220,000. This fed demands for improved urban amenities and city beautification. 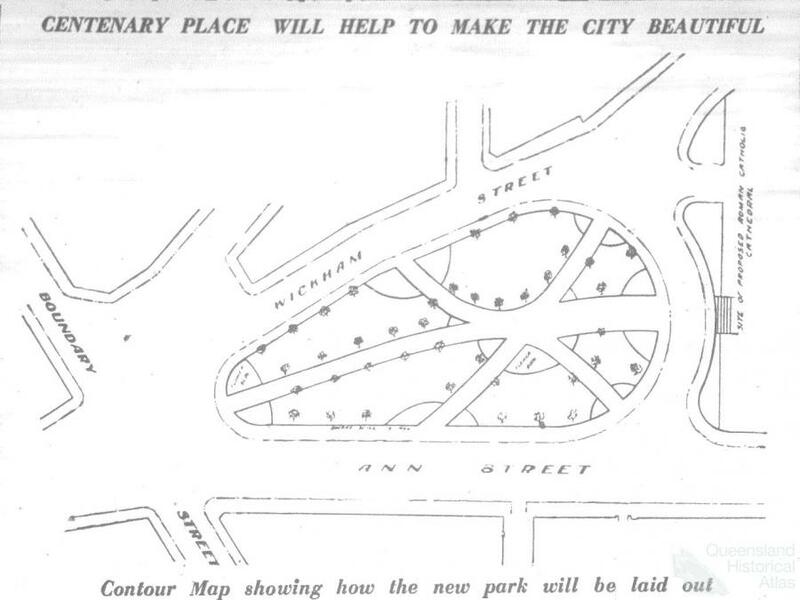 Agitation in the Brisbane Courier over the ‘paucity of metropolitan parklands’ (23 April 1915), as well encroachments on existing parks, led to the development of new public spaces at either end of the city centre. Queens Gardens, then the Executive Gardens, bounded by George, Elizabeth and William Streets, was created in 1905 and Centenary Place, enclosed by Wickham, Ann and Gotha Streets, was established in 1924. Both sites contribute to Brisbane's monumental history by hosting statues of important figures in Queensland's European past. Public statuary flourished in nineteenth and early twentieth century Europe. Between 1871 and 1920 sixty-nine commemorative statues were erected in London. Such ‘statuemania’ (a term coined by the French historian Maurice Agulhon) was, at least in part, the response of European elites to a crisis of legitimacy originating in the rapid social transformations associated with modernity, particularly the destruction of links with previous generations. Memorials, including statues, constructed memory, assuaging the disorientation occasioned by rupture from the past. They also solicited popular participation in politics and helped forge national identities in an increasingly global and competitive state-system, reliant on a precarious balance of power. Queenslanders, somewhat belatedly, joined this 'rush towards memory' in the first three decades of the twentieth century, attempting to shape a past, legitimise present politics and articulate a preferred future. By 1900 Sydney had eight statues and Melbourne five. Queensland had none though nascent nationalism, pride in the British Empire and craving for local heroes had whetted its citizens’ appetite for memorialisation. Monuments to Queen Victoria and Thomas Joseph (T.J.) Ryan, Queensland premier from 1915 to 1919, were erected in Queens Gardens. 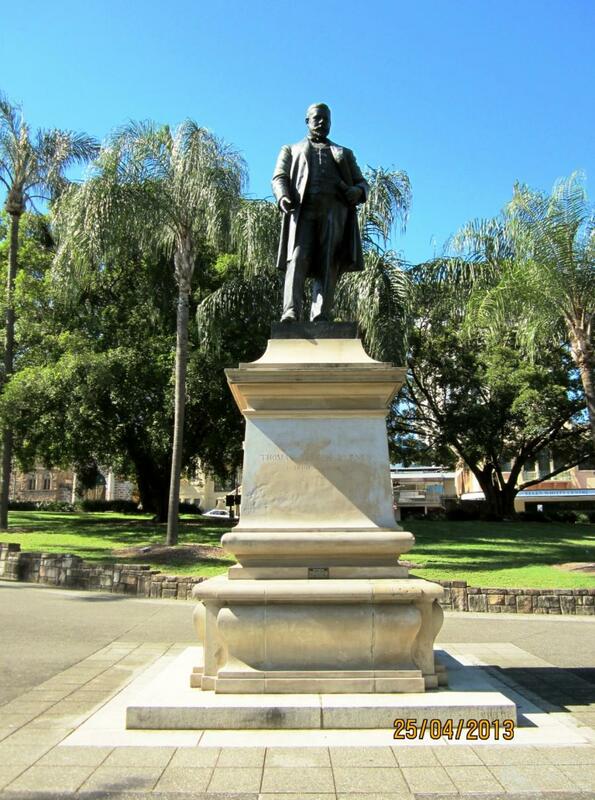 Centenary Place hosted a re-located statue of Thomas Joseph (T.J.) Byrnes, an earlier Queensland premier, in 1898, and that of an eighteenth century Scottish poet, Robert Burns. Our focus is the statues of the two Irish Australian premiers, T.J. Byrnes and T.J. Ryan. 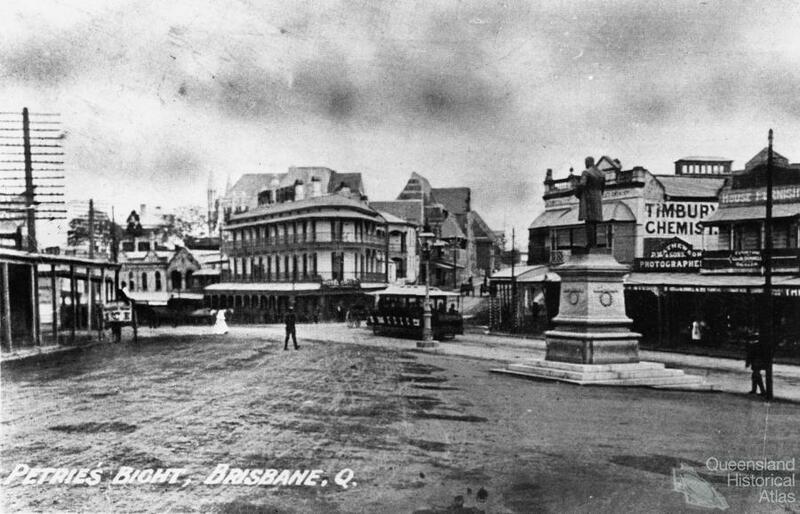 Byrnes’s memorial ‒Brisbane’s first permanent public statue ‒ was erected in 1902, and that of Ryan in 1925. The two parks and four statues are, in the words of the memory studies pioneer, Pierre Nora, traces of memory, ‘the boundary stones of another age’. They reveal not only what past generations of Queenslanders thought important to remember but also provide insights into their civic culture. They are notable sites of public memory, by which we mean outdoor cultural precincts and objects, including statues, which represent history, a version of memory, in material form. Statues congeal into permanence particular images deemed worthy of remembrance. The Brisbane sites and statues house memories but are not static. They are dynamic, with changes in perceptions, values and usages. Public statues, in particular, have their own biographies, ranging from genesis to unveiling and reception. The Byrnes and Ryan statues configure in public space the contrasting legacies of two Queensland political titans. They had much in common, apart from their first names: both were born in Australia of Irish Catholic parents, remained faithful to their religion and campaigned for Home Rule in Ireland. They were self-made men, rising from humble circumstances through scholarships and pupil-teaching to graduate in law from the University of Melbourne. Both became eminent barristers, politicians representing electorates outside Brisbane, and premiers. Both were progressive to varying degrees and died prematurely of pneumonia. They were paired by Brisbane’s Catholic Archbishop James Duhig who commemorated them in the Catholic Press (30 August 1923) as ‘great Catholic statesmen’. There were also differences between the two men and their contexts. There was an eleven-year gap between Byrnes’s death in 1898 and Ryan’s election to the Legislative Assembly in 1909. Byrnes’s premiership was cut short after a brief five and a half months while Ryan’s tenure lasted over five years and was dominated by the divisive domestic repercussions of Australian participation in World War I. Byrnes was a Liberal who decried Labor’s collectivism and trade union connection while Ryan identified with the Queensland Labor Party, including its trade union base, and became one of its most revered leaders. Their legacies in public space reflect their divergences rather than their similarities: Byrnes as a symbol of social cohesion and Ryan as a divisive sectional protagonist. Byrnes was Queensland’s first native-born premier. He was a very public Catholic and Irish Australian who won the patronage of some influential Protestant political leaders, including premiers Samuel Griffith and Hugh Nelson. Byrnes acquired legendary status, in part because he died in office, young and full of promise, at the age of thirty-seven. The wider community also deemed him worth memorialising because he rose to distinction as a barrister, cabinet minister and premier from an underprivileged background. His memorial project emphasized social consensus and camouflaged one of the most divisive issues among Queenslanders of European origin ‒ sectarian conflict between Catholics and the Protestant majority. In the late nineteenth century Irish Catholics constituted almost one quarter of Brisbane’s population. Allegations in the Brisbane press that Byrnes, as attorney-general, favoured them in public service appointments and promotions contributed to his defeat in an 1896 electoral contest for North Brisbane. Undeterred, he almost immediately returned to parliament representing the electorate of Warwick where Catholics were more numerous. After his death Byrnes was appropriated by the Queensland elite ‒ which included an increasing number of Irish Catholics ‒ to portray the colony as a model of unity, democracy and social mobility. Among the supporters of his memorial movement were most leading Protestant politicians, the Anglican Bishop of Brisbane and the colonial press. Public funding and support in kind indicated the broad extent of Byrnes’s posthumous appeal. Parliament allocated £1000 towards the £2000 project, with the remainder raised by public subscription. The Brisbane City Council donated a commanding Petrie Bight site at the intersection of Queen, Wickham and Ann Streets. Memorialising Irish Catholics in this way was rare, perhaps unique. Earlier statues of those whom Irish Australians revered ‒ Bishop James Quinn in Brisbane (1892) and Daniel O’Connell, Ireland’s ‘Liberator’, in Melbourne (1901) ‒ were confined to Catholic cathedral precincts. 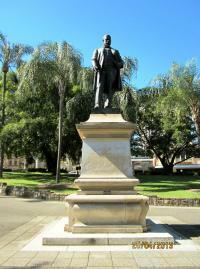 Byrnes’s statue, a bronze nearly three metres high, was executed by Bertram Mackennal, Australia’s leading sculptor. Draped in a Union Jack, it was unveiled by the Governor, Sir Herbert Chermside, on 22 August 1902. The stated purposes of the memorial were to perpetuate the memory of Byrnes and to applaud his native Queensland, particularly its education system, for producing such an achiever. The statue of a thoughtful Byrnes gazing towards the city centre presented a harmonious interpretation of Queensland history, with class, religious and ethnic conflict ‒ central to his life and career ‒ dismissed as irrelevant in a meritocratic Queensland. Although he seldom wore one, Byrnes was clothed in a frock coat, the distinguishing garb of a British cabinet minister. The pedestal bore the inscription Thomas Joseph Byrnes, 1860-1898. Further detail was unnecessary because his life and career were inscribed in collective memories. For the majority Byrnes was accepted, after his death, as a charismatic consensus-building statesman. His Petrie Bight memorial site became a venue for public meetings, including an address to electors by T.J. Ryan in 1913. It was even used for outdoor Anglican religious services, a tribute to the dead premier’s ecumenical appeal. 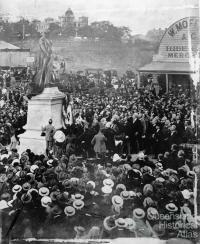 The labour movement grudgingly acknowledged Byrnes’s statue as a monument to democracy, putting aside resentment over his role, as attorney-general, in devising repressive measures against unionists during the 1894 pastoral strike. At the unveiling ceremony the president of the Legislative Council, Sir Hugh Nelson, described the statue as ‘an eloquent incentive’ for the youth of Queensland to emulate his industry, perseverance and achievement. Such didactic intention contributed to the production of many nineteenth century outdoor cultural objects. Public memory is contestable, with elite memory sometimes countered by alternative readings of the past. 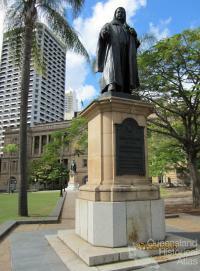 In the case of Byrnes, Brisbane’s Irish Catholics paid little heed to his statue after its unveiling and developed their own memory sites and rituals. A new Catholic church at Camp Hill, dedicated by Archbishop Duhig to St Thomas the Apostle in 1923, was so named in Byrnes’s memory. His death was commemorated every year into the 1920s at the city premises of the Queensland Irish Association (QIA) and at St Joseph’s Church at Kangaroo Point, where he was an active parishioner. The QIA was established in March 1898 with Byrnes a foundation member. Immediately after his death, Byrnes’s portrait was unveiled in the Association’s rooms, next to that of British statesman and Irish Home Rule supporter, William Gladstone. In 1916 the QIA’s lecture room was designated the Byrnes Hall and used for an annual lecture on his life and career. St Joseph’s Catholic Church marked the anniversaries of his death with a mass and procession, which, in 1915, included 300 Hibernians in full regalia. In these commemorative spaces Byrnes was celebrated not only for his brilliant career but also for his Catholicism, Irishness and triumph over ‘sectarian engineering’, aimed at the exclusion of Catholics from public office. 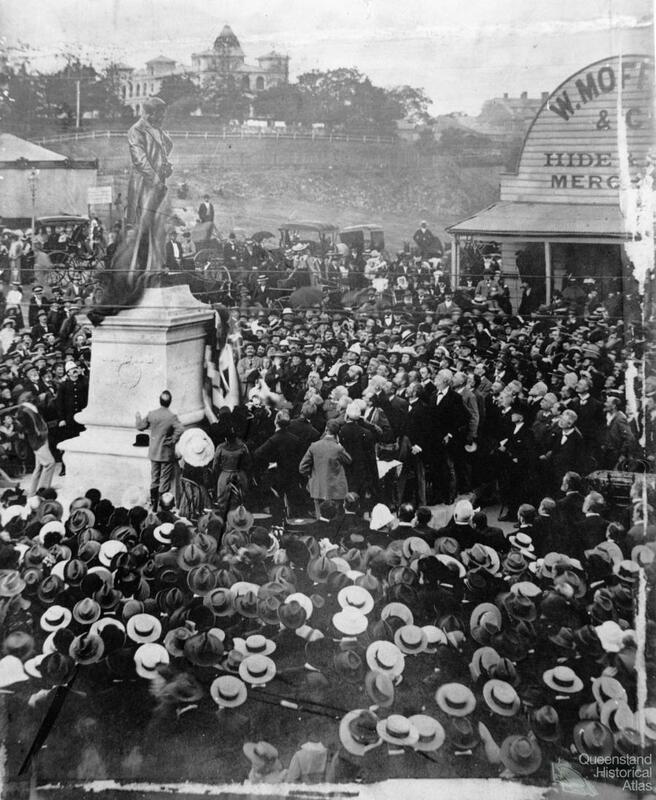 By 1925 traffic congestion and town planning exigencies, including a proposed cross-river bridge from Kangaroo Point to Petrie Bight, demanded the reassignment of the public space occupied by Byrnes’s statue. 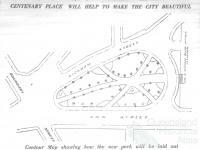 In that year it was moved to a central position in the new Centenary Place, triangular parkland created to mark the centenary, in 1924, of European settlement in Brisbane. The relocation drew no protest from Irish Catholics, for Byrnes had an affinity with Centenary Place. 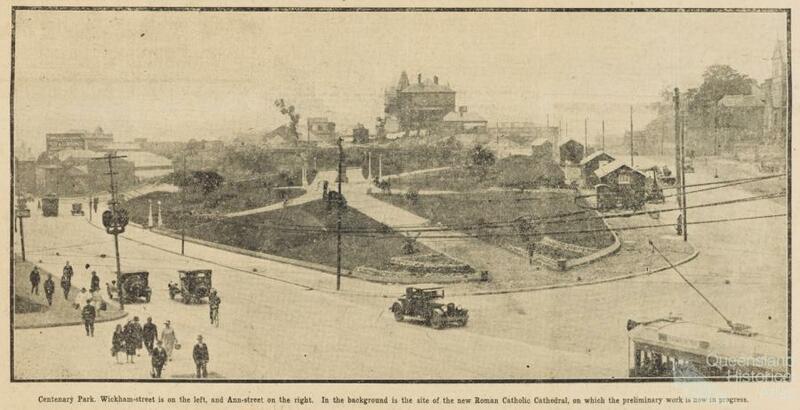 It was adjacent to a largely Catholic precinct including Dara, the imposing archbishop’s residence, demolished in early 1928 to make way for a new cathedral. Archbishop James Duhig incorporated the relocated statue ‒ Byrnes was his earliest ideal of an Irish Australian ‒ in his never-to-be-realised vision of a vast Renaissance basilica, the Holy Name Cathedral, set on the Dara site, enclosed by Gotha, Ann, Gipps and Wickham Streets. Duhig envisaged Centenary Place as an extension of his cathedral’s grounds, with its central corridor a pathway to Holy Name’s imposing entrance and Byrnes’ statue part of the vista from its great steps. 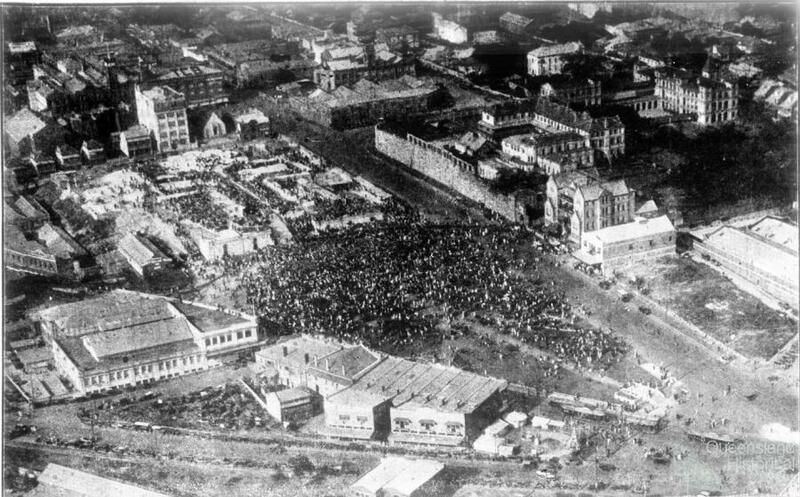 The foundation stone was laid by the Papal Legate on 16 September 1928 before an international assembly of bishops and archbishops and a crowd of some 35,000 people spilling out of Centenary Place. Despite The Queenslander judging it ‘one of the most inspiring ceremonies in the ecclesiastical history’(20 September 1928) of the State its promise evaporated. By the early 1950s the Holy Name project had disintegrated. 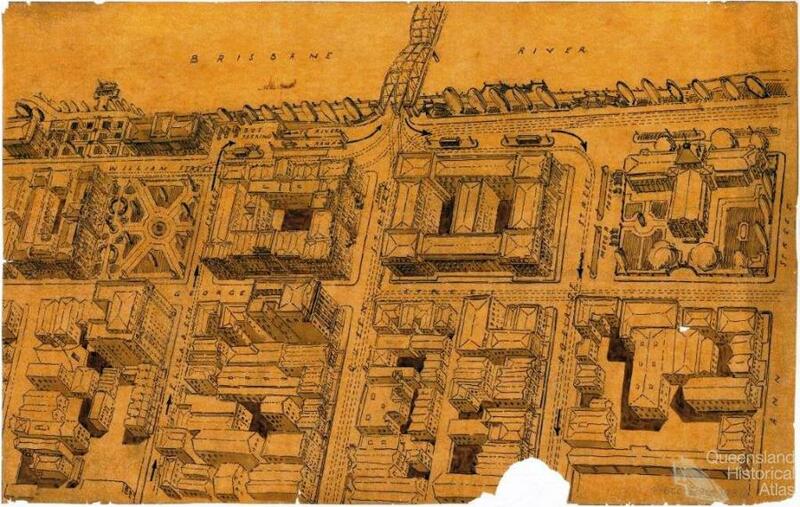 Byrnes, however, in his new location, continued to preside, as he had at Petrie Bight, over public gatherings. Centenary Place functioned as Brisbane’s speaker’s corner, including Sunday afternoon political forums in the 1960s and 1970s. The Holy Name site, across Gotha Street, was sold by the Catholic archdiocese in 1985 to a property developer. Centenary Place was renovated in 1990-91 but lost its people’s forum function to King George Square. By the twenty-first century the Byrnes statue and its parklands were overlooked by a residential and commercial complex. Its designation, Cathedral Place, and its Duhig apartment block, commemorate its connection with an unrealised ambition of Brisbane’s greatest Catholic archbishop. The apparent consensus propelling the T.J. Byrnes memorial movement from 1898 to 1902 was nowhere to be found in the case of fellow native-born Irish Australian ‒ and another Duhig ideal ‒ T.J. Ryan. Ryan entered the Queensland Legislative Assembly in 1909 and led the Labor Party to office in 1915. He was a reforming premier who acquired prestige among Labor supporters and many Irish Catholics for his national political leadership of the anti-conscription campaign during World War I. He was being groomed to lead the Federal Parliamentary Labor Party when he died unexpectedly at Barcaldine, in 1921, at the age of forty-five. With the backing of Ted Theodore, his successor as Queensland’s Labor premier, and prominent Irish Catholics, a T.J. Ryan memorial committee was established under the chairmanship of Frank McDonnell, a leading retailer and member of the Legislative Council. It raised £3254, primarily from labour and Catholic subscribers, and commissioned Bertram Mackennal to execute the work in bronze. The state government made no financial contribution but provided a Queens Gardens location, a view of which Ryan had enjoyed from his offices in the Executive and Treasury Buildings. 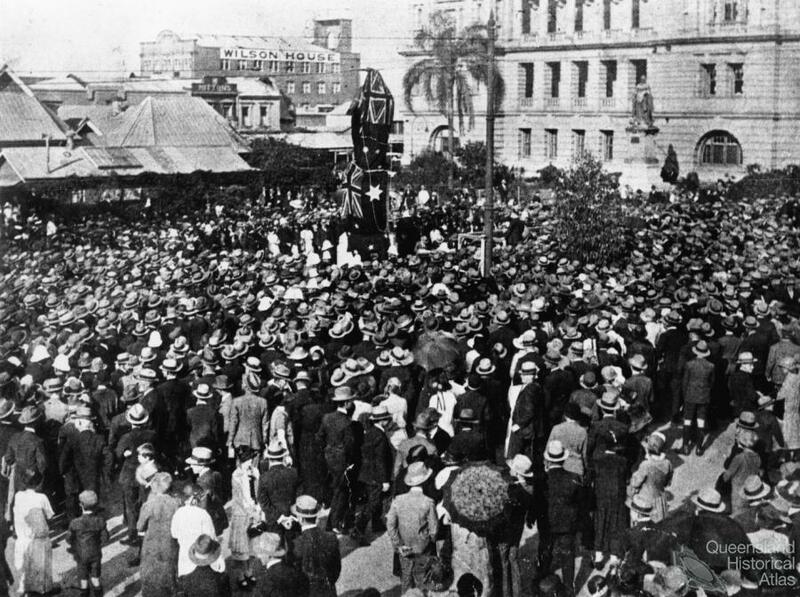 The placement of Ryan’s statue in Queens Gardens, between the Executive Building and the Treasury, conveyed, spatially, its subject’s dominance of Queensland politics between 1915 and 1919. It also spoke of his imprint on Queensland history for the site had deep roots in Queensland’s European past. The office of the commandant of the Moreton Bay penal colony was located there in the 1830s and, from the 1850s to the early twentieth century, the Anglican Church of St John the Baptist (also known as the pro-Cathedral), and its parsonage. After the church and its rectory were demolished in 1904 the area bordering the Executive Building became the Executive Gardens. 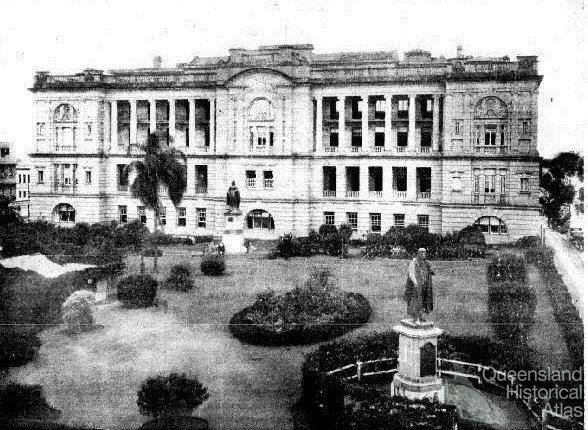 It was more commonly termed Queens Gardens after the unveiling of Victoria’s statue in 1906. In a little-noted incongruity, Ryan’s statue occupied a corner of what was once the garden of the Anglican rectory. Whatever tension existed between the Ryan statue and its site was far outweighed by the friction between the two statues. An Empress, the preeminent embodiment of imperial, Protestant Greater Britain, shared a public space with Ryan, the doyen of Queensland Irish Catholic Labor politicians. Provocatively, the premier’s back was turned on the monarch. Thomas Joseph Ryan, 1876-1921. Scholar-Jurist-Statesman. Premier of Queensland 1915-1919. Who’ll seek to serve the State as he? The brevity of the Byrnes inscription could not suffice, as the case for Ryan’s memorialisation was still being pleaded. Ryan’s Catholicism, Irishness, Labor identity and prominence in the 1916-17 conscription debates earned him the ire of conservatives, British Empire loyalists and many of the Protestant clergy. The sectarian chasm between Catholics and Protestants, so overt during the 1896 election campaign in North Brisbane, temporarily closed on Byrnes’s death. It reappeared and dramatically deepened in World War I, particularly after the 1916 Easter Rising in Dublin, interpreted in loyalist and Protestant quarters as treachery when the Empire was locked in a death struggle with Germany. Moreover, influential Protestant clergy in Brisbane suspected the Vatican was a secret ally of Germany and concluded that Ryan and his government were dangerous enemies, a verdict reflected in the 1918 claim of an ultra-Protestant pamphleteer (Watchman, 11 December 1919) that ‘Ryanism and Romanism’ were ‘political synonyms’. Despite the memorial committee’s efforts to fabricate a consensus, the commissioning of Ryan’s statue and its placement in Queens Gardens drew bitter opposition, the nub of which was that Ryan was a sectional leader rather than one for the whole community. His constituencies were Catholics and the labour movement, cried the critics, and his statue should be relegated to the precincts of a Catholic church or the grounds of Trades Hall. There were also claims that, with statues to both Byrnes and Ryan, Irish Catholics had seized a disproportionate share of the city’s public memory. Where, asked Protestants, were the outdoor memorials to distinguished premiers ‒ notably Sir Thomas McIlwraith and Sir Samuel Griffith ‒ who were not of the Roman faith? There was even an allegation that the Ryan statue constituted ‘£3000's worth of insult!’ and an ‘affront to the British Constitution’ because its back was turned on Queen Victoria (Brisbane Courier, 25 July 1922 and 14 September 1925). During his premiership Ryan had been the QIA’s most prominent member and his memorial committee was dominated by members of the Association. Its president, Peter McDermott, was also head of the Premier’s department and accompanied Ryan on an official visit to the United Kingdom in 1916 where they conferred with members of the Irish Parliamentary Party over the campaign for Irish Home Rule. McDermott, a litterateur, wrote the inscription for Ryan’s statue. But having secured the statue’s casting and erection, Association members considered their public memory work done. They preferred their own premises as a memory site. As with Byrnes, Ryan’s portrait was prominently displayed and the anniversary of his death commemorated. In similar fashion, Archbishop Duhig by-passed the statue of his friend when he accompanied the Papal Legate, in a 1928 act of remembrance, to Ryan’s funerary monument in the Catholic section of Brisbane’s Toowong Cemetery (The Age, 20 September 1928). Those with labour sympathies generally accepted the statue as an inspirational memory site. A promising young historian, Denis Murphy, seated by the window on the upper floor of the Public Library in the 1960s, kept Queens Park and his subject in view as he gathered data for his influential book, T.J. Ryan: A Political Biography. The Ryan memorial remains a potent Queensland Labor Party memory site. It was used, on occasion, by the Goss and Beattie governments, which took inspiration from the achievements of T.J. Ryan, as a backdrop for outdoor press conferences. In 1990, for example, Queensland Labor gave a public welcome to its 7000th branch member at the base of Ryan’s statue. The Queens Gardens statues were temporarily removed in 1992 to allow for the construction of an underground car park for the Treasury Casino. After featuring in a Labor centenary display at the Parliamentary Annexe in 1993, Ryan’s statue, embedded in sand, was trucked westwards to Barcaldine in the following year, and placed on a plinth, beside a billabong, in front of the Bicentenary Theatre at the Australian Workers Heritage Centre. The memory of Ryan was inextricably linked with Barcaldine. It was the centre of the Barcoo electorate which he represented in the Queensland Legislative Assembly from 1909 to 1919. The connection was deepened by Ryan’s death there in 1921. Moreover, Barcaldine had legendary status within the labour movement as a birthplace, during the 1890s pastoral strikes, of the Queensland Parliamentary Labor Party. Barcaldine residents attempted, unsuccessfully, to retain Ryan’s statue and disdainfully rejected the state government’s placatory offer of a plastic replica. In 1995, with the completion of the casino car park, the Queen Victoria and Ryan memorials were restored to their original positions in the reconstituted Queens Gardens, an acknowledgement of the heritage values of the monuments in their original locations. The return of the statues briefly revived discussion of their positioning, though without the vehemence of 1925. Seventy years on, the spatial politics of Ryan’s back to Queen Victoria had lost its emotional charge. The issue’s re-emergence, in a lighter vein, demonstrated the plasticity and plurality of public memory: conservatives deemed Ryan unworthy to face the Queen; the labour version applauded his lack of deference to royalty. In any case, by the late twentieth century such heroic, self-aggrandising monuments had diminished potency. The use of an animated Ryan statue in casino advertising drew no protest. Further, Ryan’s twenty-first century location in a gambling precinct recalled his introduction of the Golden Casket lottery as a source of revenue during World War I. The Byrnes and Ryan statues still maintain their places in Brisbane’s cultural landscape. As with most monuments, familiarity and the passage of time have diminished their vitality. Encompassing history and memory, they can still speak, though more through their life-histories than their materiality. What the statues conceal, their biographies reveal.